With Medicaid Behavioral Health Redesign, Ohio Medicaid will cover SUD residential treatment using a per diem payment methodology. 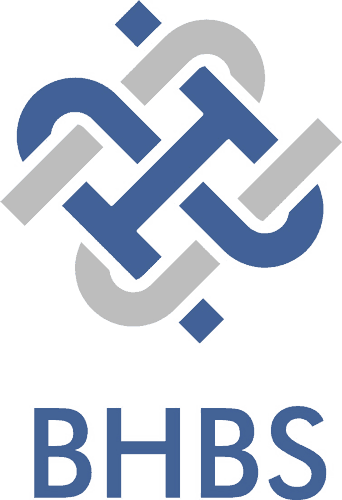 In order to bill for SUD residential treatment services, provider agencies must be certified by the Ohio Department of Mental Health and Addiction Services (OhioMHAS) to provide SUD residential treatment and must have the new MITS provider specialty 954 added to their Ohio Medicaid provider record in MITS. 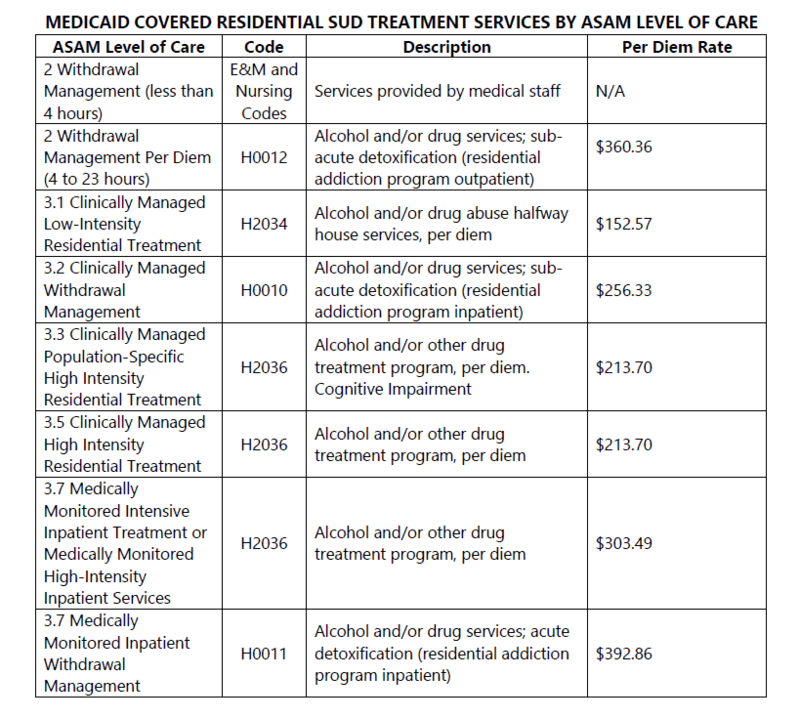 Below are instructions for existing and new Ohio Medicaid SUD residential treatment programs on how to add the MITS provider specialty and a table on the next page lists the Medicaid covered residential services, payment rates and matching ASAM Levels of Care. 2. 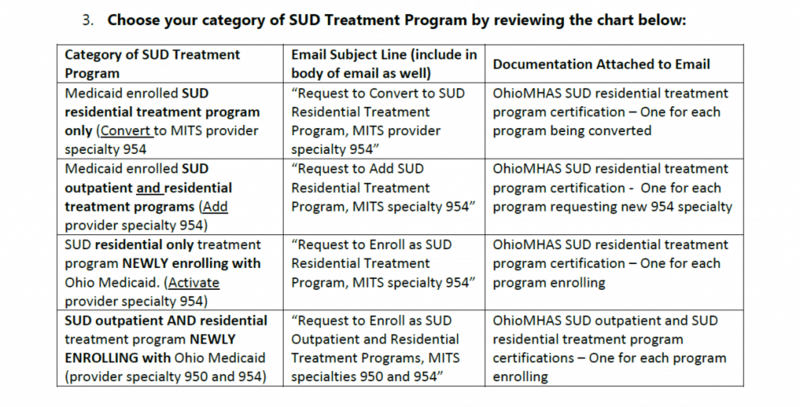 Agencies already certified by OhioMHAS as an SUD residential treatment program may then complete an application for enrollment in Ohio Medicaid or may update their existing MITS provider record. Information on enrolling as an Ohio Medicaid provider can be found at the following here. Once you have selected an option from the chart above, submit an email to MHAS-BHSupport@mha.ohio.gov with the specified email subject line and attaching the applicable OhioMHAS SUD residential treatment program certification(s). The email must also include the name, email address and telephone number for a contact person at the agency for any needed follow up. If you have questions or need additional guidance, please contact Ms. Monica Peck at 614-752-8360.